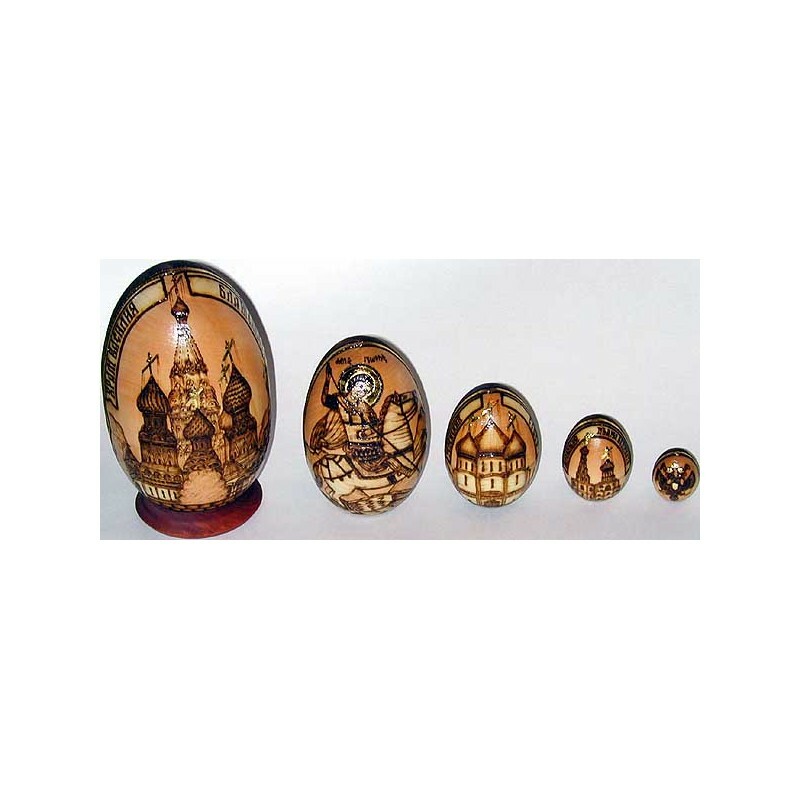 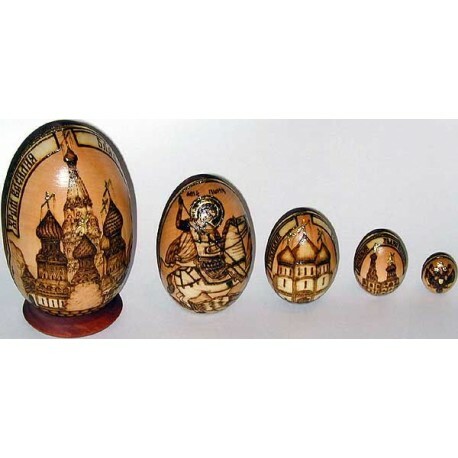 This splendid set of Easter eggs inserted into each other like nesting dolls has been made in the ancient Russian town of Sergiev Posad by the talented master Listunov O. 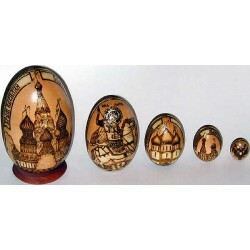 This splendid set of Easter eggs inserted into each other like nesting dolls has been made in the ancient Russian town of Sergiev Posad by the talented master Listunov O. 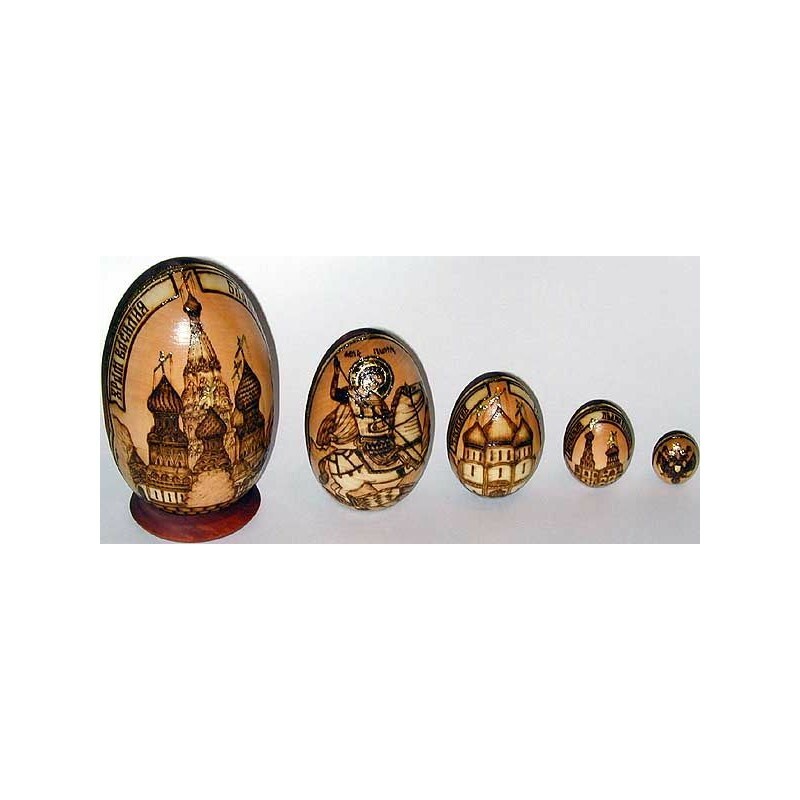 The work is dedicated to the recognizable symbols of Moscow and Russia, such as the Moscow Kremlin and its world-famous buildings, and the coat-of-arm of Russian Federation.